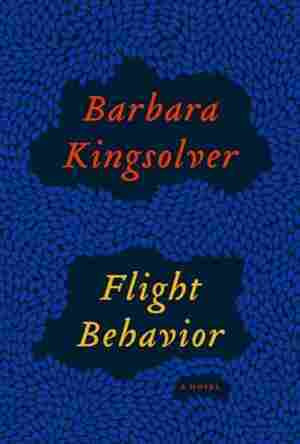 Flight Behavior NPR coverage of Flight Behavior by Barbara Kingsolver. News, author interviews, critics' picks and more. Bored housewife Dellarobia Turnbow is tired of living in poverty on a failing farm, and she's frustrated by her marriage to the boy who got her pregnant in high school. Then one day, as she's hiking through rural Tennessee on her way to meet a lover, she witnesses a miraculous event on an Appalachian mountainside. The beautiful, ominous vision ignites a media and religious firestorm that changes her life forever. Barbara Kingsolver addresses rural life, climate change and environmental stewardship in this story of personal awakening. June 3, 2013  In softcover fiction, Barbara Kingsolver explores climate change, Jami Attenberg depicts an eating disorder, Dave Eggers sends a businessman to Saudi Arabia, and Vaddey Ratner fictionalizes life under the Khmer Rouge. In nonfiction, Jeffrey Toobin examines the Supreme Court and President Obama. April 20, 2013  More and more writers are setting their novels and short stories in worlds, not unlike our own, where the Earth's systems are noticeably off-kilter. 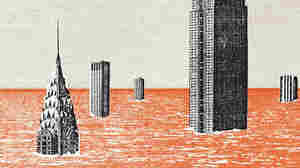 The genre has come to be called climate fiction — "cli-fi," for short. November 9, 2012  Writer Barbara Kingsolver is one of a handful of novelists with a science background, and she puts it to use in her new novel Flight Behavior. Kingsolver discusses the book and why she chose to look at the the issue of climate change in a fictional work set in rural Tennessee. November 8, 2012  Barbara Kingsolver's new novel starts when millions of monarch butterflies alight on a mountain in eastern Tennessee. Yet, as author Brian Kimberling describes, the beautiful winged visitors in the novel reveal both humankind's effect on nature and the nature of humankind. 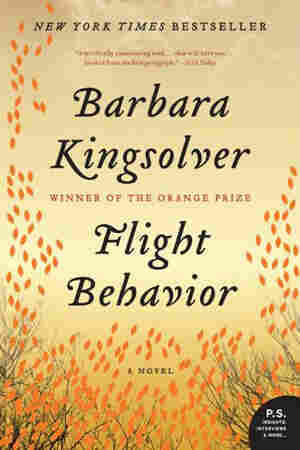 November 6, 2012  Barbara Kingsolver's seventh novel addresses global warming and the failings of public education through the story of a Tennessee woman whose thus-far disappointing life changes when 15 million monarch butterflies alight in the woods near her home. On shearing day the weather turned cool and fine. On the strength of that and nothing more, just a few degrees of temperature, the gray clouds scurried away to parts unknown like a fleet of barn cats. The chore of turning ninety ewes and their uncountable half-grown lambs through the shearing stall became a day's good work instead of the misery expected by all. As far as Dellarobia could remember, no autumn shearing had been so pleasant. After all the months of dampness, the air inside the barn now seemed unnaturally dry. Stray motes of fleece flecked the beams of light streaming from the high windows, and the day smelled mostly of lanolin rather than urine and mud. The shorn fleeces were dry enough to be skirted while still warm off the sheep. Dellarobia stood across from her mother-in-law at the skirting table where they worked with four other women, picking over the white fleece spread out between them. The six of them surrounded the table evenly like numbers on a clock, but with more hands, all reaching inward rather than out. There was no denying the clear sky was fortuitous. If the sheep had stood in rain and mud all morning waiting to be shorn, some of the wool would have been too fouled for sale. A lot of income turned on a few points of humidity. But good luck was too simple for Hester, who now declared that God had taken a hand in the weather. Dellarobia felt provoked by the self-congratulation. "So you're thinking God made the rain stop last night, just for us?" she asked. "Know that the Lord God is mighty," replied Hester, who likely could live her whole life as a string of Bible quotes. She looked daunting in a red-checked blouse with pearl snaps and white piping on the yoke. Everyone else wore old work clothes, but Hester nearly always dressed as if she might later be headed out for a square dance. The festivities never materialized. "Okay, then, he must hate the Cooks." Dellarobia's insolence gave her a rush, like a second beer on an empty stomach. If Hester was suggesting God as a coconspirator in farming gains and losses, she should own up to it. The neighbors' tomato crop had melted to liquid stench on the vine under the summer's nonstop rains, and their orchard grew a gray, fungal caul that was smothering the fruit and trees together. Valia Estep and her big-haired daughter Crystal both looked at their hands, and so did the two Norwood ladies. They combed the white fleece for burrs and bits of straw as if the world turned on rooting out these imperfections. Neighbors always came on shearing day, starting with ham biscuits and coffee at six a.m. Not the unfortunate Cooks, of course, who had failed to gain Hester's sanction in the five years since they'd moved here. But the Norwoods' farm abutted the Turnbows' on the other side of the ridge, going back several generations, and they were also sheep farmers, so this help would be returned at their own shearing. Valia and Crystal were motivated only by friendship, it seemed, unless there was some vague unmentioned debt. They all attended Hester's church, which Dellarobia viewed as a complicated pyramid scheme of moral debt and credit resting ultimately on the shoulders of the Lord, but rife with middle managers. "I didn't say word one about those Cook people," Hester said, not letting it go. "Valia, did you hear me say word one about the Cooks?" "I don't think you did," replied mousy Valia. Dellarobia knew her mother-in-law could command unlimited agreement from these women. Hester's confidence in her own rectitude was frankly unwomanly. She never doubted a thing about herself, not even her wardrobe. Hester owned cowboy boots in many colors, including a round-toed pair in lime green lizard. But at the moment it was the self-interested logic that irked Dellarobia: if Hester and Bear had bad luck, like the winter of terrible chest colds they'd suffered last year, they blamed the repairman who failed to fix the furnace and charged them anyway. But when the Cooks' little boy was diagnosed with cancer the same winter, Hester implied God was a party to the outcome. Dellarobia had let this kind of talk slide for years, showing no more backbone really than Valia or any other toad in Hester's choir. Until now. "Well, it just seemed like that was your meaning," she said. "That God stopped the rain for us, but not the Cooks. So he must like us better." "Something's got into you, miss, and it is not good. You'd do well to consult your maker on respecting your elders." Hester spoke down her nose. She lorded her height over others in a way that her tall son did not, even though Cub had a good fifteen inches on Dellarobia. Only Hester could cut her daughter-in-law down to her actual size: a person who bought her sweatshirts in the boys' department, to save money. "The Cooks are older than me," Dellarobia said quietly. "And I feel for them." Something had gotten into her, yes. The arguments she'd always swallowed like daily ration of pebbles had begun coming into her mouth and leaping out like frogs. Her strange turnaround on the mountain had acted on her like some kind of shock therapy. She'd told her best friend Dovey she was seeing someone that day, but not even Dovey knew what she'd been called out to witness. A mighty blaze rising from ordinary forest, she had no name for that. No words to put on a tablet as Moses had when he marched down his mountain. But like Moses she'd come home rattled and impatient with the pettiness of people's everyday affairs. She felt shamed by her made-up passion and the injuries she'd been ready to inflict. Hester wasn't the only one living in fantasyland with righteousness on her side; people just did that, this family and maybe all others. They built their tidy houses of self-importance and special blessing and went inside and slammed the door, unaware the mountain behind them was aflame. Dellarobia felt herself flung from complacency as if from a car crash, walking away from that vale of fire feeling powerful and bereft. It was worse even than years ago when the stillborn baby sent her home with complicated injuries she could not mention. Both then and now, Hester was not one to ask about personal troubles. She seemed unacquainted with that school of thought. From Flight Behavior by Barbara Kingsolver. Copyright 2012 by Barbara Kingsolver. Excerpted by permission of Harper, an imprint of HarperCollins Publishers.